3 years ago, I received an email from a stranger professing his love for food. Since then, this understated food explorer extraordinaire introduced me to fresh fried jalebis and my favourite kabab haunt (posted about here) – thanks to all those of you who have persisted in guessing the secret location and forgiven me (or not) for shrouding the coordinates in a cloud of secrecy. A month ago, I attended that stranger's wedding. My first post of 2016 is dedicated to that stranger and now dear friend - Ali and his wife. 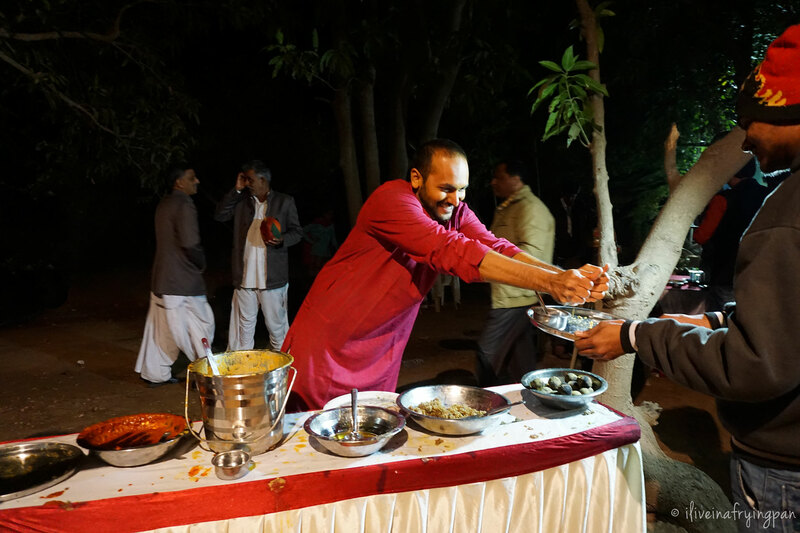 Their wedding gave me an excuse to visit the rural areas of Gujarat and have food experiences that I may never have had on my own. Gujarat has the highest proportion of vegetarians in their state. Be ready for a judgmental stare or two if you ask around for meat. In fact, having now had both flavourful and highly memorable all-veggie meals in this green state, I might stare at you if you were to ask for meat in Gujarat. A day or two of eating into your journey, you’ll notice that meat is not necessary at all. Take for instance dal-baati-churma. 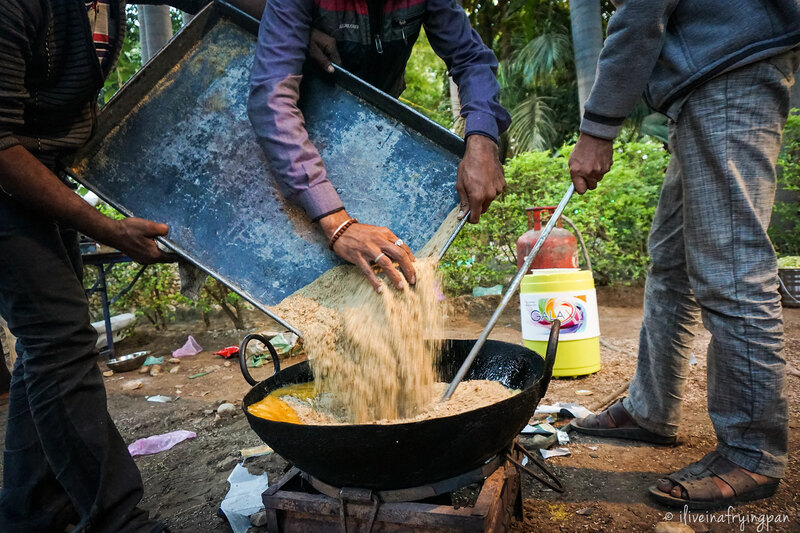 Traditionally associated with neighbouring Rajasthan, this village meal is so rich in clarified butter (ghee), hearty lentils and carb-laden flour, that I’d challenge you to miss your meat. 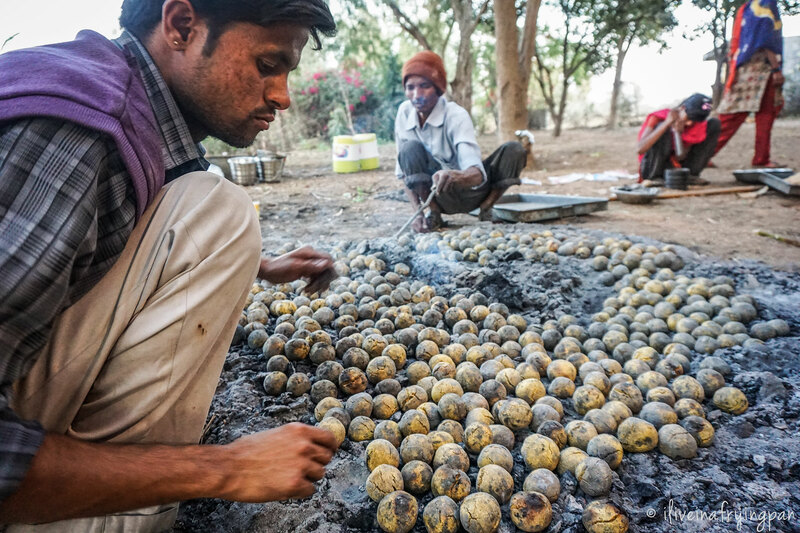 True to tradition, tiny globes of wheat flour (baati) were baked over a fire fuelled with cow-dung. 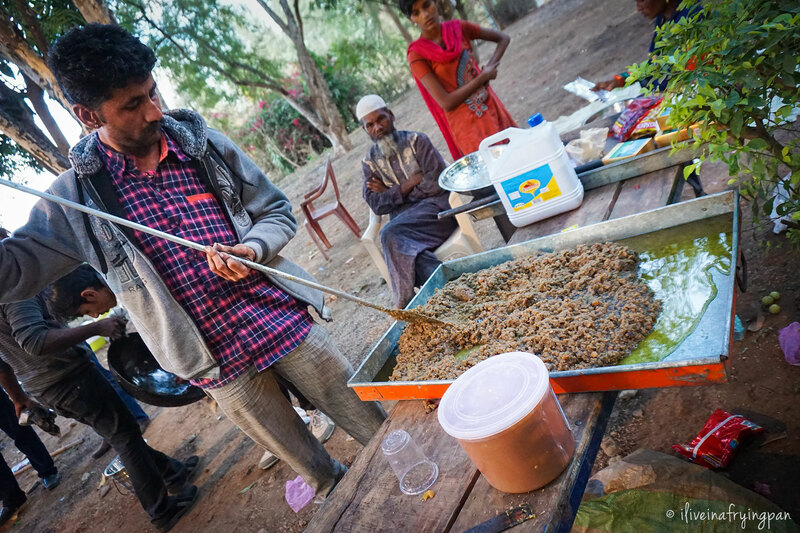 The dung is simply bio-fuel – it doesn’t leave any foul traces or smells on the actual food. 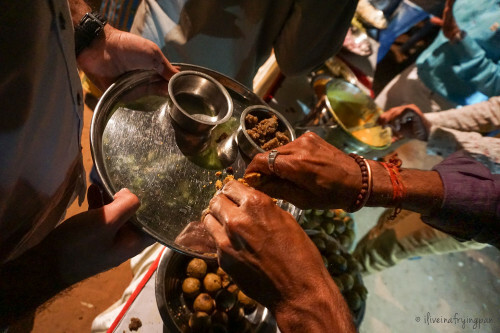 Once cooked, the baati are crumbled into your plate, drizzled with melted ghee and then dunked into an earthy soup of five lentils (panchmel dal) – Bengal gram, black gram, green gram, split pigeon peas and whole red lentils. 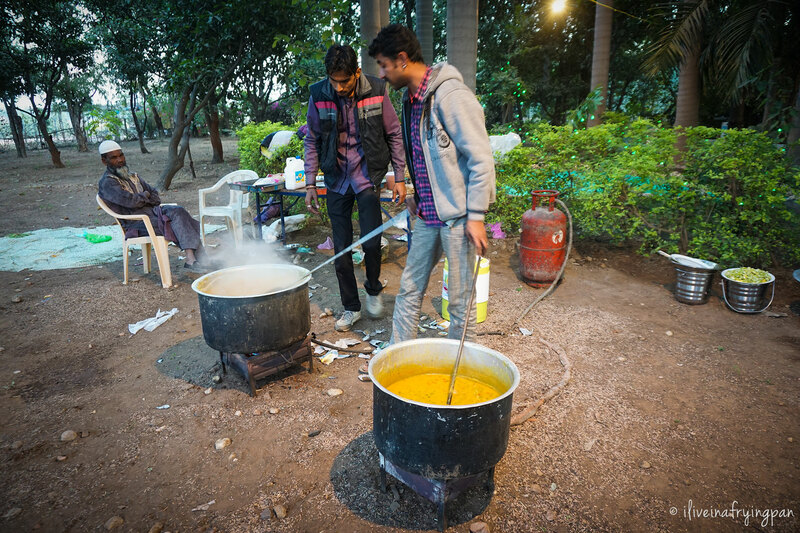 We were sitting out on a farm in the middle of rural Gujarat, with the laughter and rhythm of Indian wedding festivities punctuating the chilly evening air. There was a feeling of peace, of contentment, of human connectedness through cyber disconnectedness – all of these intangible sensory memories as palpable as the warm stream of dal coursing through my shivering body. 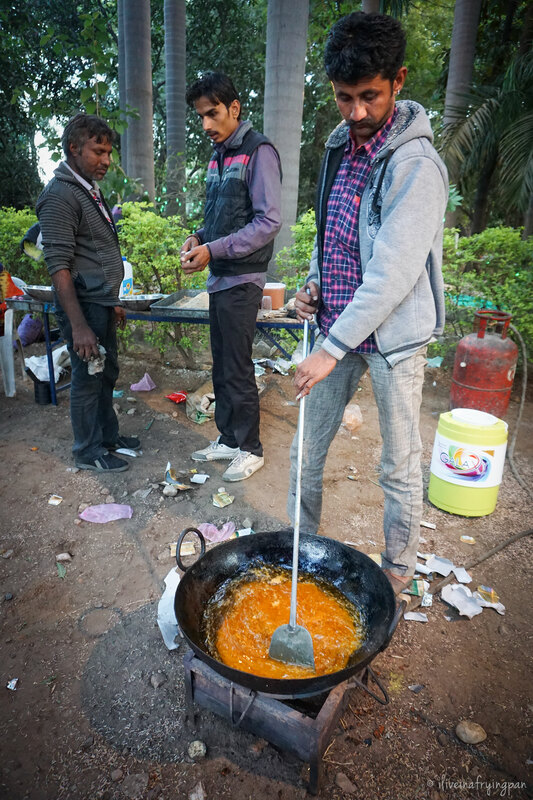 Dessert was a versatile replay of the savoury meal, with the baati crushed up and fried in copious amounts of melted clarified butter and unrefined sugar (jaggery). Churma is one of the richest and most comforting of rustic Indian crumbles. I reverted to the state I always do when food deserves all my sensory attention, including tactile, by picking each clump of sweet buttery dough with my fingers. Silverware makes the experience all too sterile. You have to touch the toasty warmth of something whose mottled brown appearance is very Instagram-unworthy, but whose sigh-inducing flavour goes unmatched against a prettier chia pudding or raw chocolate-drizzled banana popsicle. The only thing that topped the dinner act was the groom and his mother, both of whom rolled up their sleeves at the close of the meal, stood behind the food and personally served the village team that had served us. You simply don’t find people like that anymore. 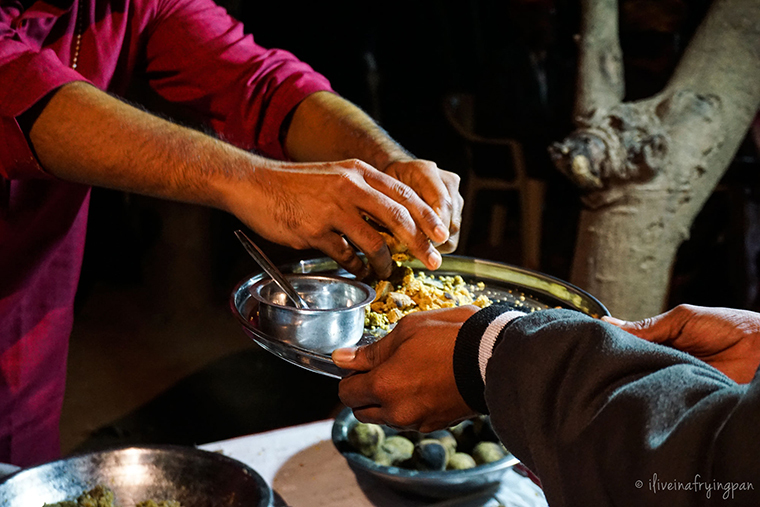 If you’re looking to try dal, baati, churma in Dubai, sadly nothing holds up to the real village experience. Manvaar in Karama is as close as you can possibly get in this cow dung-free city. Kalyan Karkumar whose work and food explorations I hold in high regard has written an insightful article on the potential origins of dal-baati-churma, and has also mentioned that the old school baati’s were made out of bajra. 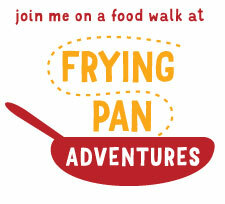 Ali - Mutual passion for food and discovery often forges the most fantastic of friendships. It's been such fun getting to know you, eating everything from hot pot to chapli kababs to Taiwanese shaved ice, racing through Deira, and getting sound business advice from you. May your marriage be a wildly fulfilling chapter of flavours and adventures - and I can't wait to now have not one, but two ever-smiling, good-hearted eating partners across from me on our next food adventure. Congratulations to you and Saanya! ← Older: Should Every Restaurant Perfume Their Biryani with Rosewater? Mouthwatering post as usual. That churma looks luscious! Love Daal baati churma but if you were in Gujarat and at a wedding in winter, please tell me you had Undiyo – my all time favourite Gujju dish. Arvaaaaaa….i miss reading your posts so please start writing more!! Dal doesnt always move my heart and soul, but only a few types can do that, or if it is cooked in a certain way. This one surely made my mouth water and i cant stop about going to India again.! Great post! Must be a wonderful experience for you in Gujarat, I hope I could try those delicious meals.